How do they celebrate Christmas in France? This is a guest post from Caroline Skudder who works as an English teacher at the Université Stendhal-Grenoble. Christmas is a special and magical time of the year. Both adults and children look forward to it for different reasons: children for the tons of presents they get and adults for the fine food and chocolates they are going to eat. Both Christmas eve and Christmas day are celebrated. It is often the opportunity for couples and families to spend one of these days at one family’s and the other at the other family’s so everybody is happy. Father Christmas often comes two or three times: in the evening of Christmas eve (at one set of grandparents’) , in the morning of Christmas day (at home) and at lunch time of Christmas day (at the other set of grandparents’). 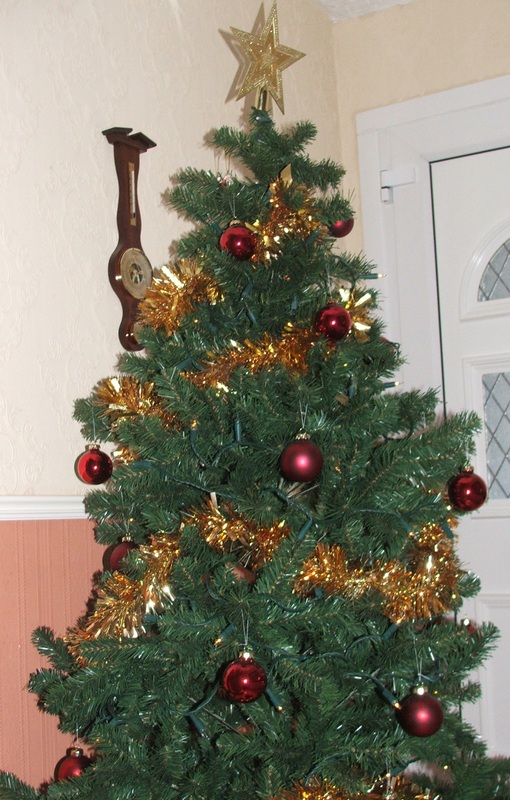 The Christmas tree is often put up at the start of December and all the family set to work to decorate it. It often ends up being a little unbalanced but the children are proud of their work. Recently, there has been the fashion for outside electrical lights to decorate the house and neighbours often compete for the best decorated house. Some families go to midnight mass and watch a nativity play played by children. Tables are set up. Often several old tables are put next to each other to host everybody and we struggle to find a chair for everyone. We decorate them with Christmas table cloths and bits and pieces. Christmas is about eating refined and delicious food you do not get to eat in the year. Several members of the family prepare a dish for the meal. The whole evening from 7 to past midnight is spent eating. There are several starters (there can be up to 3 or 4, for instance smoked salmon, prawns, snails or frog legs, foie gras), two main courses (for instance Turkey and Chestnuts or duck or poultry), the traditional cheeses and the Christmas logs. We often have enough food for the rest of the week! If you want to learn French and you are based in Birmingham, you can contact me via my website for private French lessons. Related posts: How do they celebrate Christmas in Germany? How do they celebrate Christmas in Greece? How do they celebrate Christmas in Denmark? How do they celebrate Christmas in Germany? This is a guest post from Rainer Schlötterer of RS_Globalization Services. 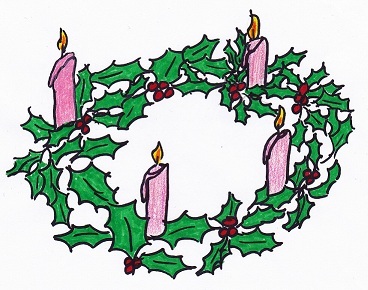 In Germany almost all families decorate their homes with an “Adventskranz” (advent wreath). This is a wreath most often made from twigs (fir tree, spruces) with four candles and often also decorated. The candles are lit on every Sunday before Christmas starting with 1 candle in the first week up until all 4 candles are lit on the last Sunday before Christmas day (25 December). In the weeks before Christmas most families bake a lot of Christmas cookies. The children may help in the kitchen and have a lot of fun cutting cookies in all sorts of different shapes or nibbling at the fresh pastry. All-time favourites are the vanilla crescents and the “Spitzbuben” (“rascal cookies”). If you are too lazy to bake them yourself you may also buy them on one of the numerous Christmas markets in every town and city where you can get all sorts of Christmas bits and pieces while enjoying a mug of mulled wine. When finally the children have opened the last door of their advent calendar on 24 December, Christmas eve is only hours away. Families usually go to church in the afternoon to celebrate the “holy night” and then come back with the children to find that the “Christkind” (Christ child) was here and put presents under the Christmas tree. This is a magical moment for the children although usually they may be a bit disappointed to have missed the “Christkind” once again as in the years before. Families then traditionally would play and sing Christmas songs and have a special Christmas eve dinner if the children are not too busy unwrapping presents and play with the new toys. There is no traditional dinner for Christmas eve. Some families have a fondue or raclette when the children are a bit older. But roast, trout, home-made pizza or any other special meal will also do. On the first Christmas day (25 December) it is time for visits of relatives, grandparents, etc. Now the traditional Christmas meal is goose which is roasted and served with delicious dumplings, gravy and red cabbage. If you find goose a bit too much or if your family is smaller, then also duck will do. 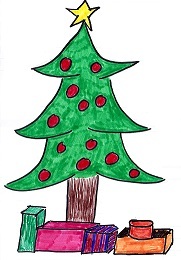 Boxing day (26 December) is also celebrated and is another chance for visiting family and relatives. There is no special Christmas dinner for boxing day but why not have another roast in the oven. 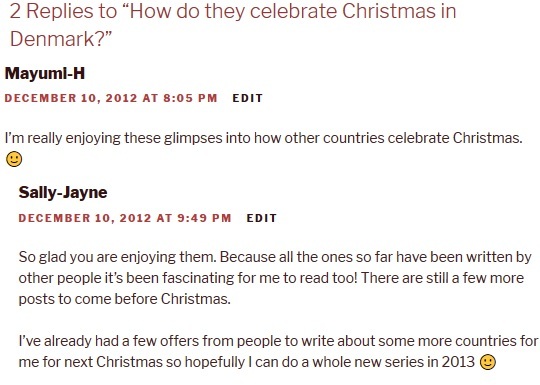 Many thanks to Rainer for this guest post. Rainer is the owner of RS_Globalization Services, which provides multilingual translation and localization services to SMEs and corporate clients. RS_Globalization Services is EN15038 certified. Related posts: How do they celebrate Christmas in Greece? How do they celebrate Christmas in France? How do they celebrate Christmas in Denmark?